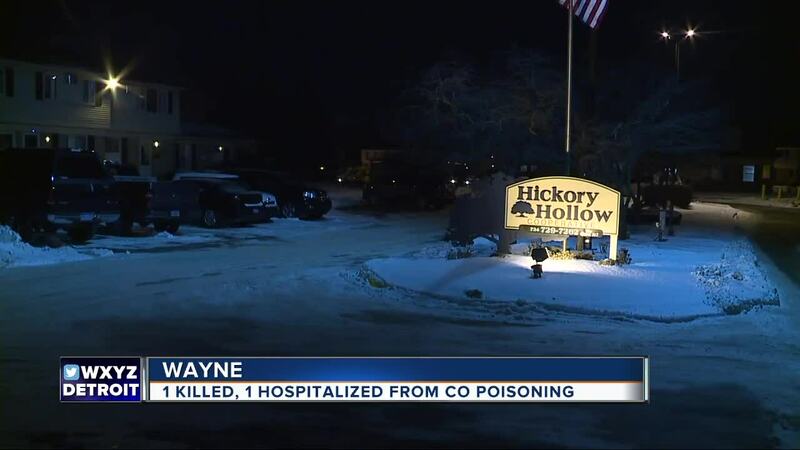 WAYNE, Mich. (WXYZ) — 7 Action News has learned that one person is dead and another is being treated for carbon monoxide poisoning. Both lived at the Hickory Hollow Cooperative apartment complex in Wayne. Fire fighters were called to the scene around 7:30 p.m. Friday night. Crews from Consumers Energy are checking the buildings in the complex for carbon monoxide exposure. They have found elevated carbon monoxide levels in multiple buildings. The buildings with elevated levels are being evacuated.